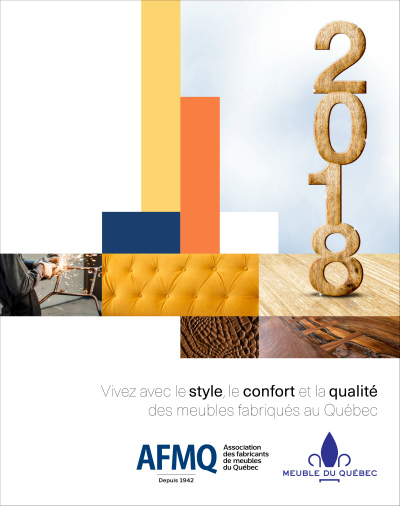 MONTREAL – The Québec Furniture Manufacturers Association (QFMA) has published the second edition of its Web Magazine, a tool consumer can use to glance at some 100 product made by its members. Publication is part of a strategy to promote Quebec-made furniture to Quebec consumers that will be rolled out in several stages over the coming months. The association launched the project after the results of a survey it commissioned from Léger, the well-known polling firm also located here, reported while 98% of its 1,000 or so respondents have a positive or very positive view of Quebec-made furniture, 86% say they have a hard time finding it. “To better meet the needs of consumers, we created a new Québec Furniture logo to be deployed in collaboration with furniture manufacturers and retailers. With this logo, it will be easier to identify Québec-made furniture in retails stores, on web sites, in flyers, and other communication tools,” QFMA president and chief executive officer Pierre Richard said in a statement. Adapting the logo, which will be distributed to retailers throughout the province on request, was recommended in a consumption barometer published by UQÀM’s Observatoire de la consommation responsable (OCR) in November 2017. It suggests 83% of Québec consumers are influenced in their furniture selection by logos or branding displaying Québec-made origin, including the fleur de lys insignia. Richard said the association’s promotion strategy builds on the ‘buy local’ trend which is gaining ground in a number of product categories beyond food, where it started. He also said only a few consumers know that buying Québec-made furniture also means having the possibility to choose the fabric, leather, wood or metal finishes, and other materials, through customisation, so each piece can be adapted to her personality and decor. The QFMA’s Web Magazine was designed to give the consumer an introduction the diversity of the industry’s product offerings and its potential for customisation. The campaign will peak this fall with the launch of a new bilingual web site – to be called quebecfurniture.com – devoted exclusively to Quebec-made furniture. 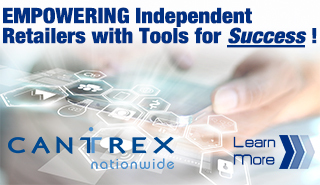 “By creating this new website, the QFMA wishes to offer a unique option among the range of digital alternatives available to consumers who are pre-shopping online for furniture. The website quebecfurniture.com will showcase products created by our manufacturers, and identify the retailers who offer them in their stores, all of this to better meet the needs of consumers,” Richard said. In an interview with Home Goods Online, Richard expects the site will be online on October 1 and hopes it will do a lot to improve the industry’s top-of-mind awareness, especially with consumers in their own province.